Elderton Wines is a second-generation, family-owned winery with an esteemed international reputation for producing wines of exceptional quality. Located in the iconic Barossa Valley, the story of Elderton Wines dates back to 1894, when this outstanding vineyard was first planted on the banks of North Para River. 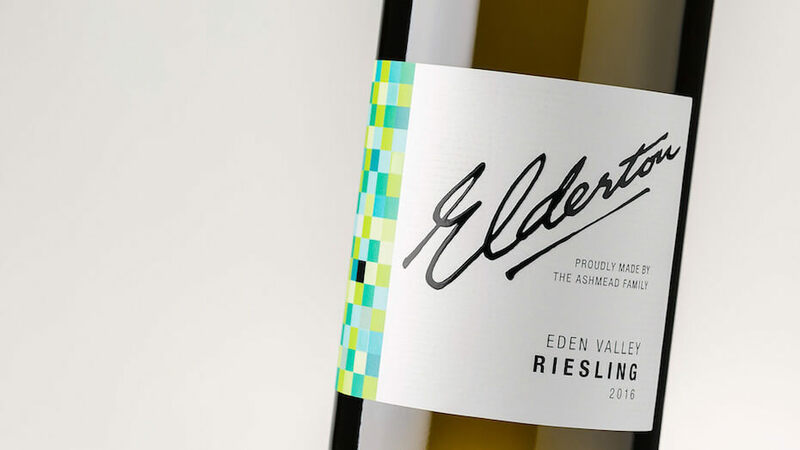 Elderton’s co-Managing Directors, Cameron and Allister Ashmead, sought Fig Tree Digital’s professional creative design services for the next evolution of their Estate Range wine packaging design. 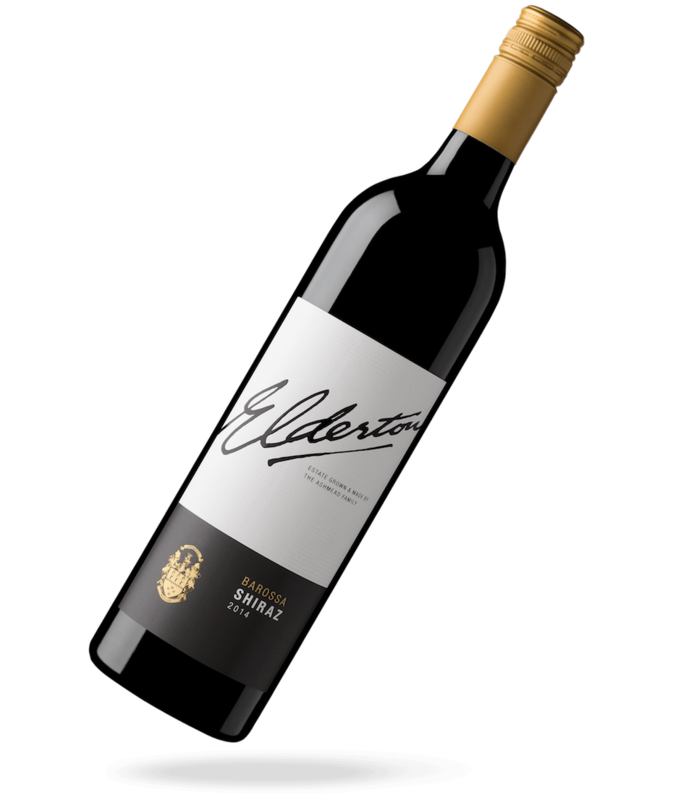 There was a need to refresh the wine’s packaging, yet retain the familiarity of the iconic Elderton signature logo. 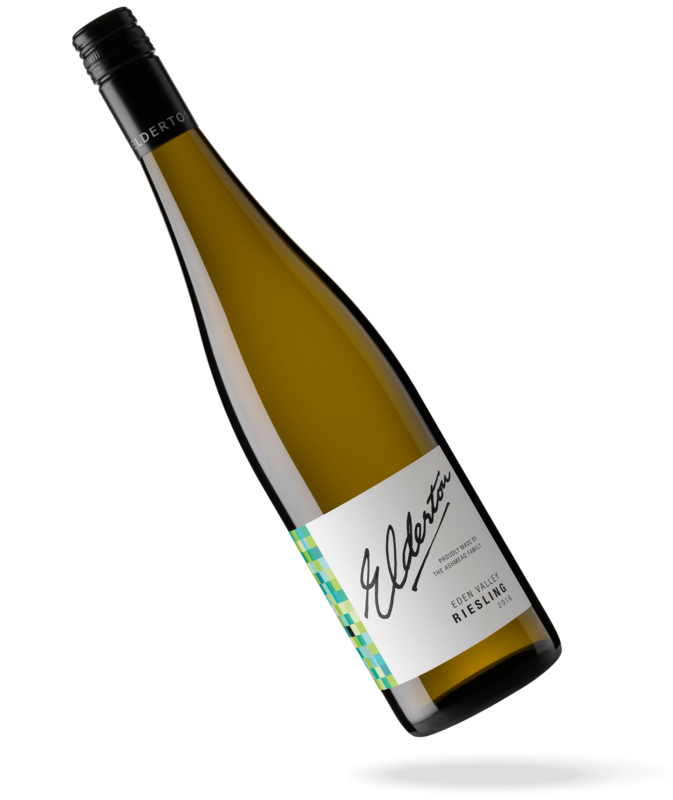 The Elderton Wine series consists of three reds including Shiraz, Cabernet Sauvignon and a Grenache Shiraz Mourvedre as well as two whites, Riesling and a Golden Semillon. 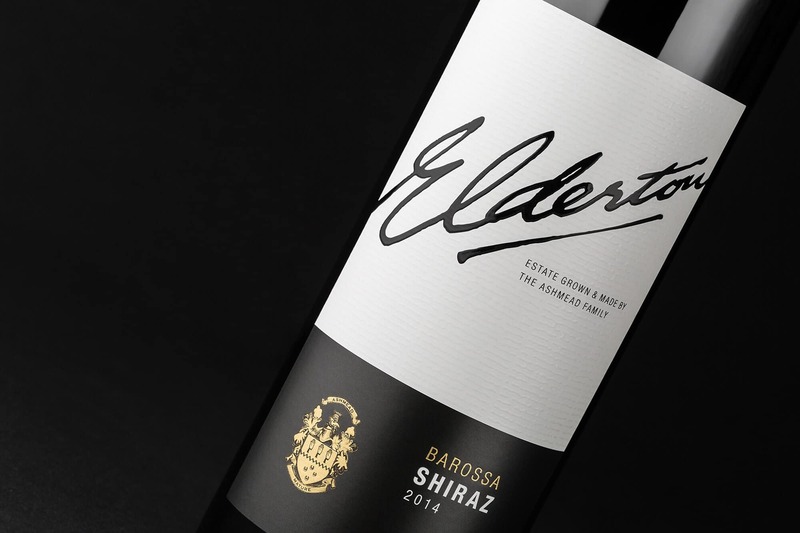 The iconic Elderton signature logo was incorporated as the main visual focus, reinforcing a sense of confidence and strong brand recognition on-shelf. Each label stands alone with a strong identity, but is also recognisable as part of a family of fine wines. A restricted colour palette of black, white and gold was used to achieve a premium feel for the red wine labels – restrained, yet bold. The Ashmead family crest, set in gold foil, acts as a seal of quality. The design for the white wine labels complements the reds, making use of bright, colourful mosaic panels that add a sense of vibrancy and freshness. Speciality print embellishments including high-build UV varnish, gold foiling and blind texture embossing add the finishing touches and provide high quality cues. The seven label designs come together to represent a proud and easily recognisable product range that fits the exceptional quality of Elderton Wines and have been well received in the marketplace. 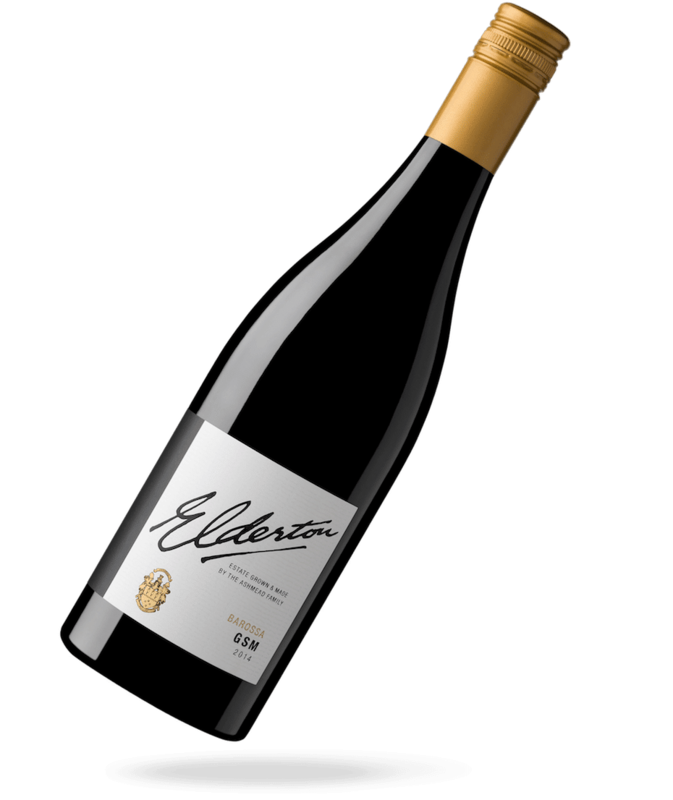 The Elderton Wines range may be ordered direct from their website. 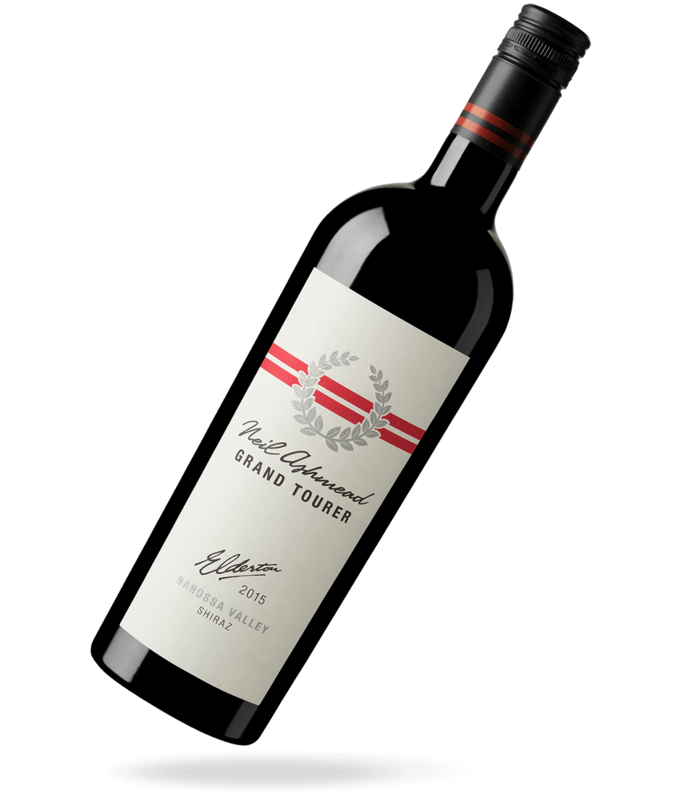 The Elderton Grand Tourer Shiraz (GTS) is a premium wine named in honour of Elderton’s co-founder, Neil Ashmead. Neil was a ‘Barossa Road Warrior’ like no other. Driving tirelessly from city to city with a car loaded with wine, doing tastings and dinners and generally spruiking the Barossa. This wine is a fitting tribute to an amazing individual who was always willing to push the boundaries of expectations and limitations. When Elderton decided the GTS packaging was in need of remodelling, they turned to Fig Tree for the creative packaging design of the wine’s evolution. 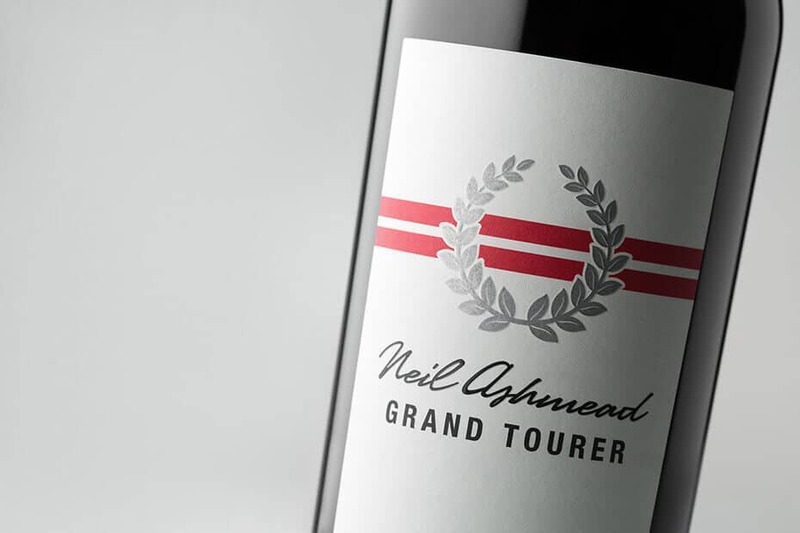 The original packaging was redesigned to be aligned with the high quality of the wine, maintaining subtle car references while appearing modern and classy. The new bottle shape and packaging design pairs well with product range partner, Ode to Lorraine, and aligns with the Elderton’s bold yet understated brand style. A design project of style and refinement, the rejuvenated packaging is the next step in the evolution of Elderton’s GTS to hit the road. 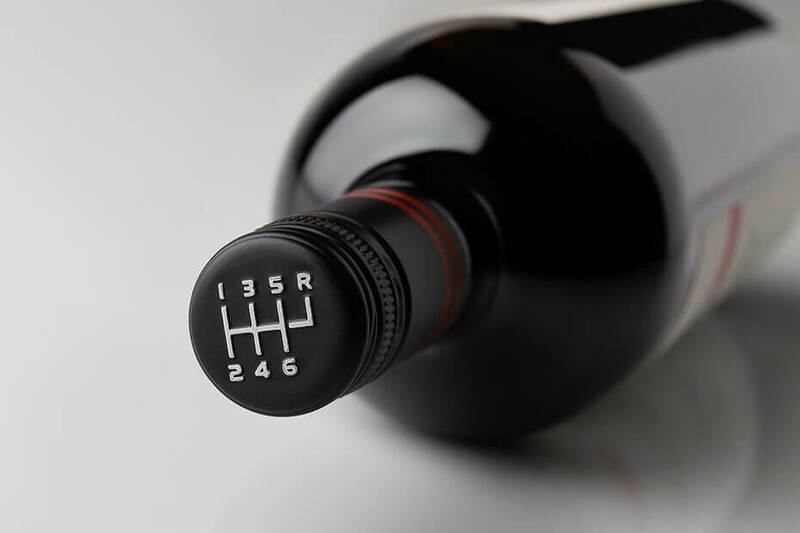 Pick yourself up a bottle to test drive, complete with 6-speed stick-shift cap, at Elderton Wines.